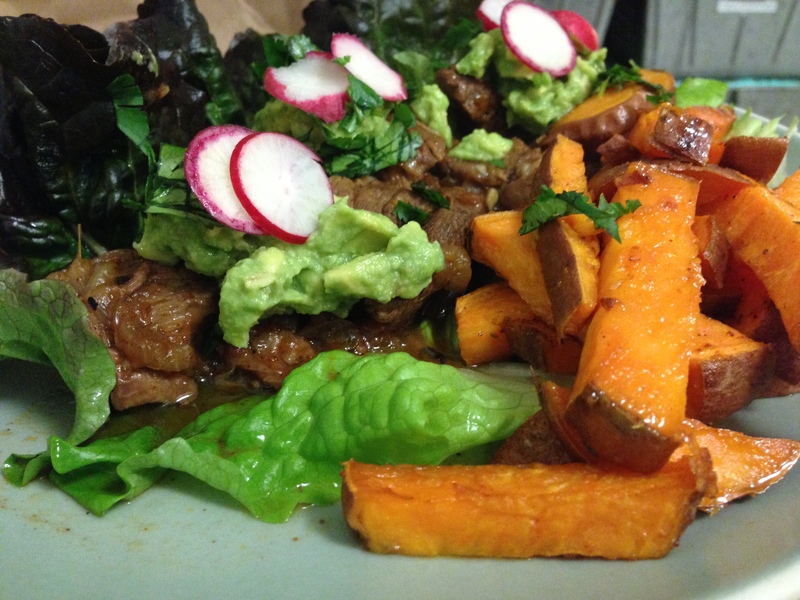 If you’re doing a month of the Whole30 challenge, it should be winding down for you now. 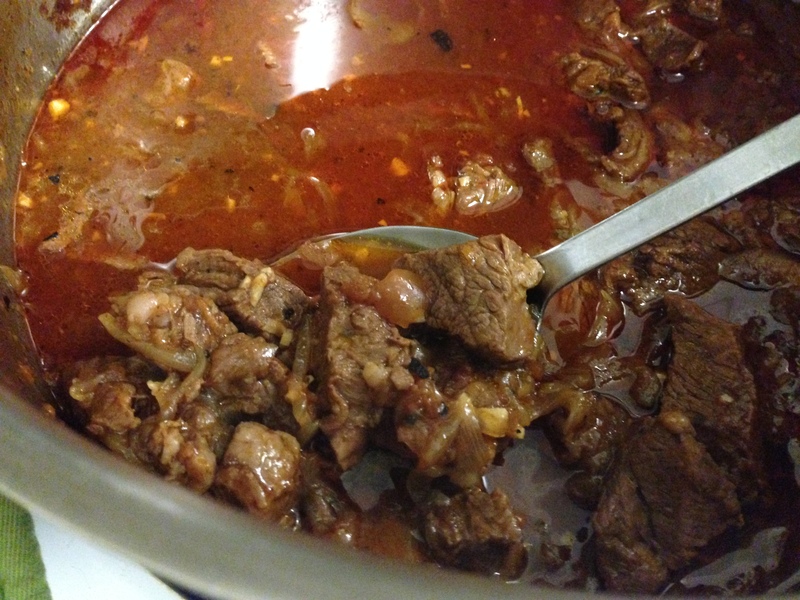 Here’s a recipe for Mexican Braised Beef (see photo above, and recipe below) that I found on the blog Nom Nom Paleo. I served it with fresh greens, Sweet Potato Fries (prepared like the Parsnip Fries from last week’s post), and guacamole (I’ll post that recipe tomorrow). Cut beef into 1½-inch cubes. In a large bowl, combine cubed beef, chili powder, and salt. Toss well to coat. Melt fat over medium heat in a large, oven-proof dutch oven. Add onions and sauté until translucent. Stir in tomato paste and fry for 30 seconds before tossing in garlic and seasoned beef. Next, pour in salsa, stock, and fish sauce, and bring to a boil. Spoon the beef onto a serving platter and top with cilantro and radishes (if you choose). Assemble your own tacos with lettuce leaves, guacamole, diced onions, and cilantro. This entry was posted in Cooking advice, Gluten-free, Meat, Recipes and tagged Beef. Bookmark the permalink.